Remember that painting I made a while back, for Papercutter? 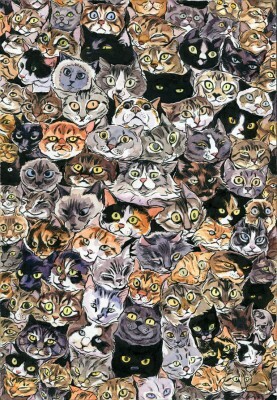 The painting with hundreds of reader-submitted cat portraits, swirling in a feline vortex? Staring back at you, into your very soul? There’s some other original artwork by both her and me, including this vintage Blar pin-up.